Based on my own experience, I believe Americans are definitely more polarized than we were fifty years ago, and unfortunately, dissenting views have often resulted in derision, contempt, disdain and even violence. “Why can’t we all just get along?” Those are the words of Rodney King, who became well known after he was beaten by Los Angeles police in 1992. Psychologists suggest it is because we are emotional creatures, and we often respond to differences of opinion impulsively, imprudently and irrationally. Jesus gave us a commandment we should follow when speaking with those whose views are at odds with ours. He said we must love one another as he loved us. 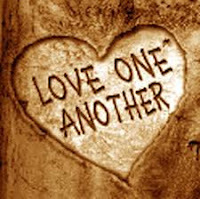 Jesus’ commandment requires that we treat those with opposing views in a spirit of good will, kindness, respect. The Bluff Point United Methodist Church where Nancy and I worship is an example of a place where people with diverse views come together in a spirit of love and respect for each other. If you haven’t discovered a place like Bluff Point, keep looking. There are churches like it all over the world. President Franklin D. Roosevelt referred to the Japanese attack on PearlHarbor on December 7, 1941, as “A day that will live in infamy.” It is an appropriate description of Dylann Roof’s murder of nine innocent people on June 17, 2015 at Charleston, South Carolina’s historic Emanuel AME Church. Clearly, it happened because children of God have free will and personal liberty. We are not puppets, and our individual freedom of choice allows us to pursue good in our lives and the lives of others or align ourselves with evil. How shall we respond to the demonic act of one deranged individual? 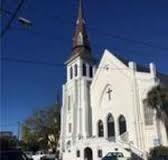 The members of the Charleston church provide an answer for those of us who are grieving. At the hearing for Roof, they offered words of forgiveness, and the following Sunday the worship service began with prayer and songs and a message of love, recovery and healing. Love, recovery and healing . . . what a magnificent tribute, what a remarkable eulogy for those who lost their lives to ruthless evil! “Knowledge is the continuing discovery of one’s own ignorance.” Every day I surf the internet, I learn the truth of that statement. I never heard of kefir until last month when our daughter introduced us to this powerful probiotic we probably should have been drinking most of our lives. A quick check on the internet, and I was overwhelmed with information about this yogurt on steroids called kefir. Recently, we were introduced to an unfamiliar Yoga pose called Savasana. It requires lying on the back with arms and legs spread at about forty-five degrees. I regret that I didn’t work longer and harder. I regret that I didn’t have the nicest lawn in the neighborhood. I regret that I didn’t save more money for this day. I regret that I never saw Venice. It’s doubtful that any one of us would have such thoughts. More than likely, we will feel remorse that we didn’t love enough. Jesus knew that loving others would lead to a life with no regrets. It was his commandment, but it was also a wise counsel for living a gratifying and fulfilling life with no regrets. The Global Positioning System, or GPS as we refer to it, is a satellite based navigational system made up of at least 24 satellites that continuously transmit their current time and position. A GPS receiver monitors complicated technical signals from the satellites and solves complex equations to deliver the exact position of the receiver. The Global Positioning System is a technological miracle and a ubiquitous feature of modern life. But wait a minute! There is a bug that weighs less than an ounce that has an internal GPS with similar ability, and it doesn’t use satellites. 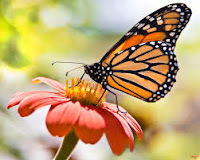 The monarch butterfly migrates from Canada over landscapes it has never seen before to a predetermined destination 3,000 or more miles away in Mexico. The monarchs fly approximately fifty miles each day, and regardless of where they begin their journey, millions arrive in Mexico between October 31 and November 2. What is more amazing is that each monarch makes the trip only once leaving the journey back to North America in the spring to four generations of descendants. If the GPS is considered a man-made miracle, the monarch’s ability to navigate in unfamiliar territory deserves that designation as well. It’s a miracle! On Saturday, May 30, 2015, Nancy and I celebrated sixty-two years of marriage. At dinner that evening, we talked about how our relationship has stood the test of time. 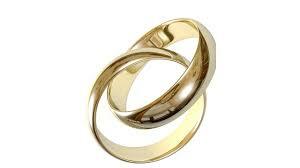 First, from the time we fell in love in the spring of 1948, we have enjoyed being together. On the senior picture Nancy gave to me, she wrote, “I’m always happiest when I’m with you.” That sentiment was true for both of us in 1949, and it’s still true today. We are still happiest when we are together. Second, we have always treated each other with respect and courtesy. We say, “Please” and “Thank you” often, and communicate honestly and straightforwardly with each other. We kiss a lot, hug often and hold hands regularly. Each touch is a reminder of our love and affection for each other. Third, we love to adventure together. When Nancy retired we pulled a trailer all over the country, always without an agenda, and where possible on blue highways only. But simply eating at a new restaurant or trying a new dish at a familiar restaurant can constitute an adventure for us. Fifth, we have worshipped together ever since we began dating regularly in Gettysburg in 1948. Throughout married life, regardless of where we have lived, we have been in church on Sunday morning and often, on weekdays as well. It is where we learned to forgive and to love others as Christ loved us.